Our guides are carefully selected to ensure not only professional service, ethical standards, and English fluency; but also that they are Vipassana meditators with an active Dhamma practice, and who are just as keen to walk the path as the pilgrims we will be serving. Specialized training is required for all our guides, in addition to their standard training through the Ministry of Tourism. Highly unusual for tourist agencies anywhere, our guides are prohibited from collecting any commission from pilgrims throughout the course of the trip. Joah has been in the Golden Land for a decade, experiencing first-hand as the traditional culture opens up to the world. The founder of Insight Myanmar as well as the comprehensive meditator's guidebook, Shwe Lan Ga Lay, he brings a wealth and depth of personal experience and background. For nearly two decades, Ma Khaing's Mandalay family has been a word-of-mouth open secret among foreign meditators coming on pilgrimage to Myanmar. 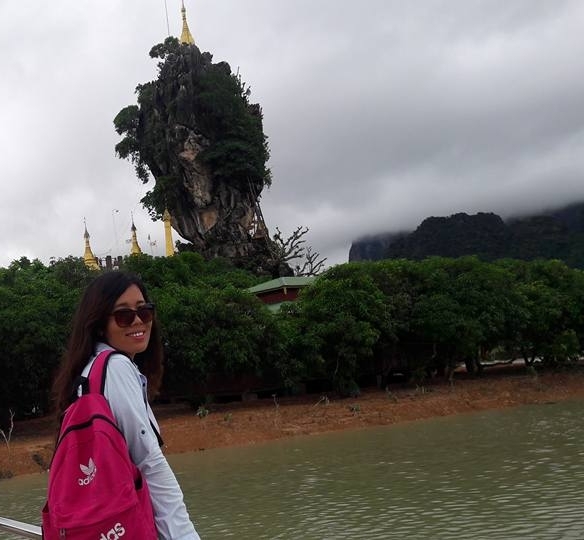 Reliable and efficient, she has personal ties with monasteries and pagodas across the country, allowing pilgrims a welcome and a unique view that would not be possible otherwise. Dario is fluent in German, English, French, and Italian. A former monk at Mandalay's Shwegyin Monastery, he has backpacked extensively throughout Iran and India, and conducted intensive research throughout Myanmar for Shwe Lan Ga Lay. 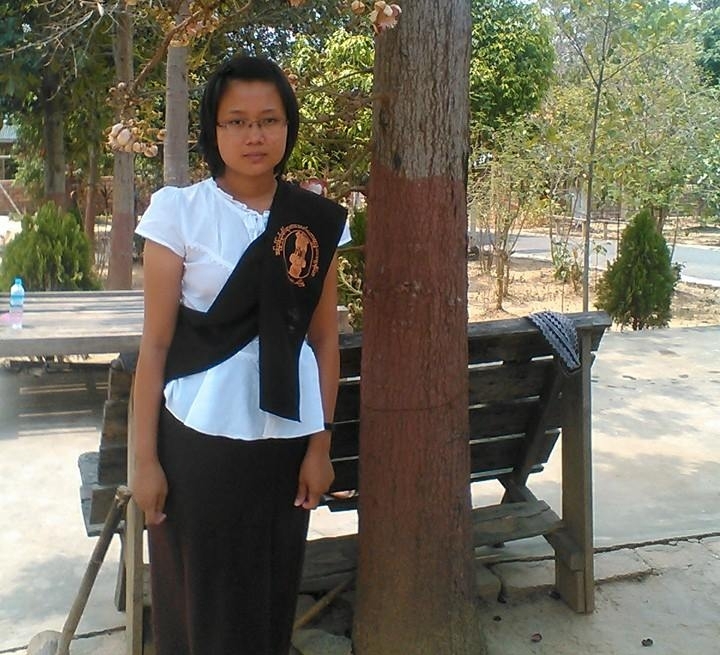 Khaing has enjoys regular intensive meditation retreats, going with various members of her family. She also spent time as a nun at Pa Auk's Mandalay monastery, and has taken several trips abroad to Germany. A native of Chaung Oo near Monywa, Zaw also oversees the Dhammaika Saedana Free Education Monastic School, which offers tuition-free classes on a variety of subjects to young people living in poverty. His family has long been involved with the major monasteries and pagodas in Monywa. 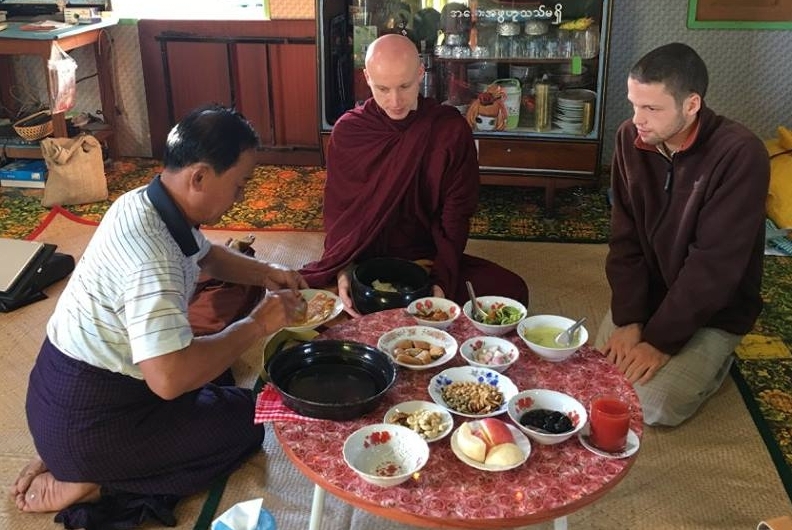 Zaw has conducted extensive research in the Monywa area as well in the Sagaing Hills, and it has been his life-long dream to help foreign meditators access the Dhamma in Myanmar. Lwin Mhu Aung's meditation practice began over a decade ago, when he met an American yogi visiting Myanmar, who encouraged him to take a ten-day silent retreat. As a guide, he has taken foreigners far off the beaten path, including a driving trip through the Chin Hills and up to the Indian border. 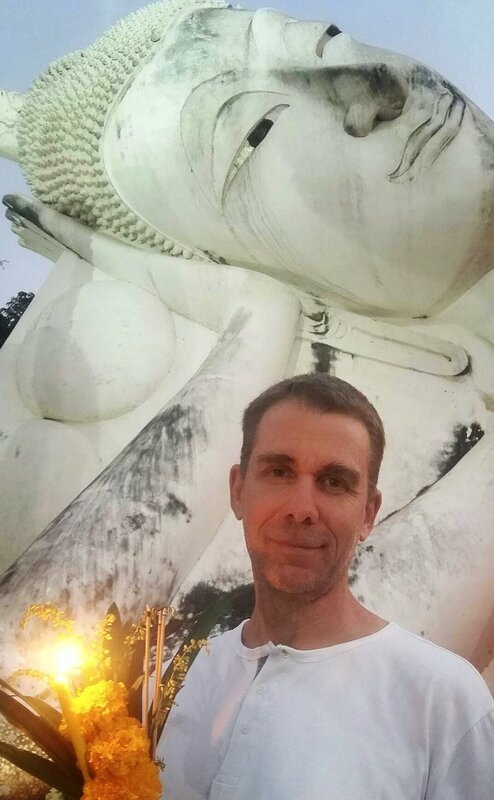 Zach got his first taste of Burma Dhamma in 1994 at a vipassana course in Bodhgaya, India. In 2003, he took the opportunity to go on a pilgrimage to magical Myanmar to pay homage to the Golden Land of Dhamma. Along with his Dhamma practice, Zach has spent various chapters of his life as a guide in the Himalaya, a yoga teacher in India, a professional nature and travel photographer in US and Asia, and more recently as a monk for 3 years in Myanmar. Zach is a regular consultant and photographer for Shwe Lan Ga Lay and is happy to share his insights into the Golden Land with all who are interested.